Join the retro-future world of Steampunk, with these Radioactive Silver Aviator Goggles! Inspired by a melding of Victorian-era Britain and the fantastical designs of authors like H.G. 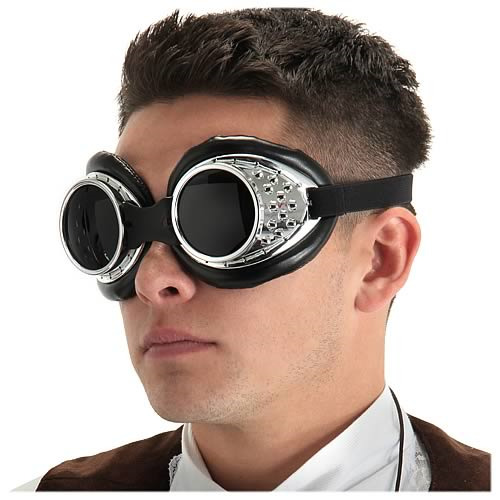 Wells and Jules Verne, these goggles are the perfect accessory for your steampunk costume! Goggle frame measures about 7-inches wide. The goggle band is elastic, and the silver around the lens is plastic painted silver. For comfort, the padding around the eyes is vinyl/faux leather. Ages 14 and up. Order yours today!